I’m all about not buying maternity clothes and looking for regular pieces that work with a bump, but some things like denim are a little harder to get around. It’s also often hard to find cute maternity jeans and shorts so I was so happy to find this cute pair. I think they look like regular denim shorts with the cute distressing, but they’re super stretchy and comfortable, and even though they have a full over the bump panel, they stay in place even when its rolled down. I really don’t like over the bump panels because I don’t like the extra layer underneath my clothes. Especially if I’m wearing shorts, its probably hot outside. 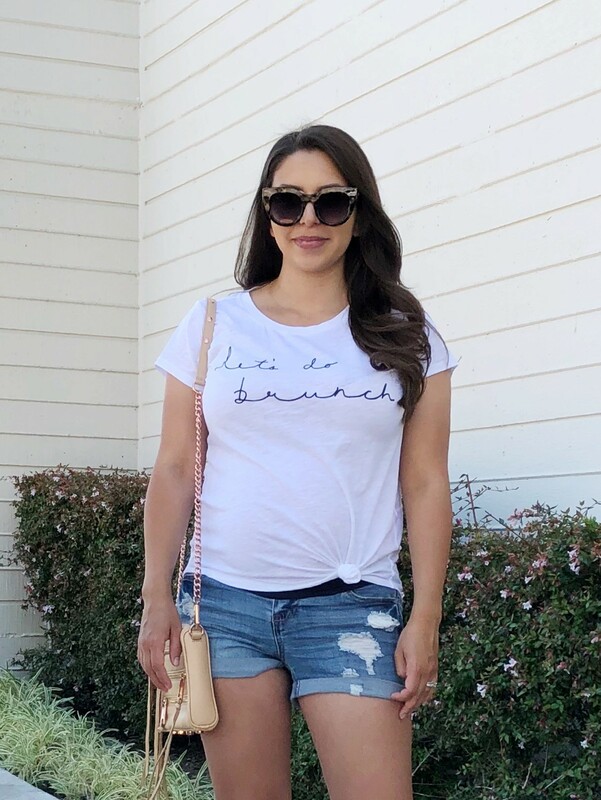 PinkBlush is one of my favorite brands for maternity clothing because they sell clothes that are comfortable, but are also on trend. I just ordered this pair because I was so happy with these shorts.